Be warned — when you ask Mashrou' Leila about their name, the Lebanese band will not give a straight answer. 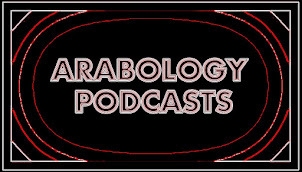 They’re a bit tricky, and might just spin you a yarn from A Thousand and One Nights. 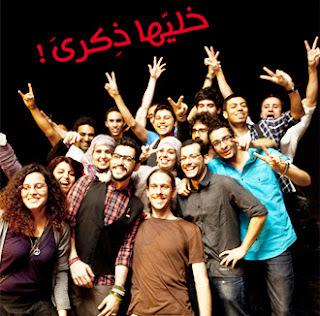 On their first night in Cairo, Al-Azhar Park’s Geneina Theater was packed in preparation, audiences clutching tickets crowding the door an hour in advance. As the night progressed, the grass on the slope leading to the theater was used as seating. Not only were Mashrou' Leila popular with fans that sung along to lyrics, they also won new ones out of the head-banging crowd that lined the front of the stage, and who took over the stage at the concert finale. Calling the band an “overnight project” would be to lose their name in translation. Rather, the band wonders out loud together about who Leila is, easily completing each other’s stories and sentences as they might do in songs. “Leila” began when violinist Haig Papazian, guitarist Andre Chedid and pianist Omaya Malaeb posted a call for musicians at the architecture and design school at the American University in Beirut (AUB). From the onset, the band produced original music, which according to vocalist Sinno falls in line with the independent attitude of the band. The lyrics are penned by Sinno, informed by high-brow reading translated into everyday concerns and language. They are often an expression of the band’s shared thoughts. Words and theories roll easily off the tongue of Sinno, who is equally vocal on different issues. Marriage is an important and recurring theme in songs such as the popular “Fasateen” (Dresses). Often hand in hand goes the issue of hypocrisy. “It becomes a transaction,” says Sinno, when Chedid criticizes the lavish expenditure that goes around marriages in Lebanon. Sinno makes a slip onstage, referring to Sadat instead of Mubarak as the ousted president, and laughs at himself. But the audience is already too won over to care. Stripped of any masculine bravado and half the instruments, the unhurried tempo of “Yasmine” simply and solely expresses loss and the after-effects of an unfulfilled love, the hopes of what could have been. Other times the music is an experiment. “Raksit Leila” as an attempt at surrealism after reading Andre Breton, said Sinno. “The sentences in themselves make sense, but in an order they don’t really mean anything,” explains Chedid. An aubergine appears in the thought bubble of the band members in the music video. “Everyone attaches their own meaning to it.” A bit like the name Mashrou' Leila. “We don’t write about show and inaccessible subject matter; we talk about life in its crudest form.” And sometimes this song takes the form of the language. “In Beirut, language is the biggest class signifier,” said Sinno, adding singing in Arabic was a conscious choice. “Aal Hagiz’s” lyrics are peppered with profanity, which “is very Lebanese,” Sinno notes. Abusing one’s authority is common in Beirut. “You could have a weird haircut and they’ll pull you out on the side, take you out of the car and search you,” says Chedid. “Aal Haagiz” (At the Checkpoint) is about an imaginary tussle with a guard in a crude conversation. “El-Hall Romansy” is also the title of their second album under production. “It’s more personal, and sentimental and intimate,” drummer Carl Gerges said. Success comes in different avatars for the band members. Gerges said “making it” would mean having a production label, others mentioned being able to live off the music. “A major problem in Lebanon is that the younger people leave the country,” said Chedid, and through their work in supporting other artists, they felt they gave others a reason to stay. Guitarist Firas Abu-Fakhr was heartened to hear that a pregnant woman played their music to her baby and that she named her child, Leila. While Geneina seemed filled to brim with fanfare, for Mashrou' Leila a thousand more nights remain to be lived. 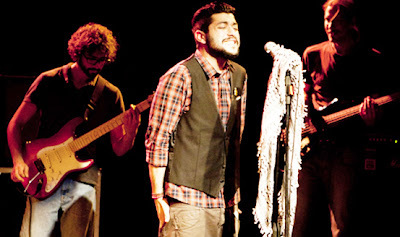 For more information on the band, visit http://www.mashrou3leila.com.